It’s October, and you know what that means—scary sights are lurking in every shadow. Whether you’re dealing with ghostly ghouls or menacing monsters, a few pieces of candy can usually keep them away. Unfortunately, there are other threats that aren’t as easy to vanquish, especially when it comes to your kayak. In these cases, forget the candy—only the FootStake will do! How exactly can the FootStake keep your kayak safe? We’re glad you asked! 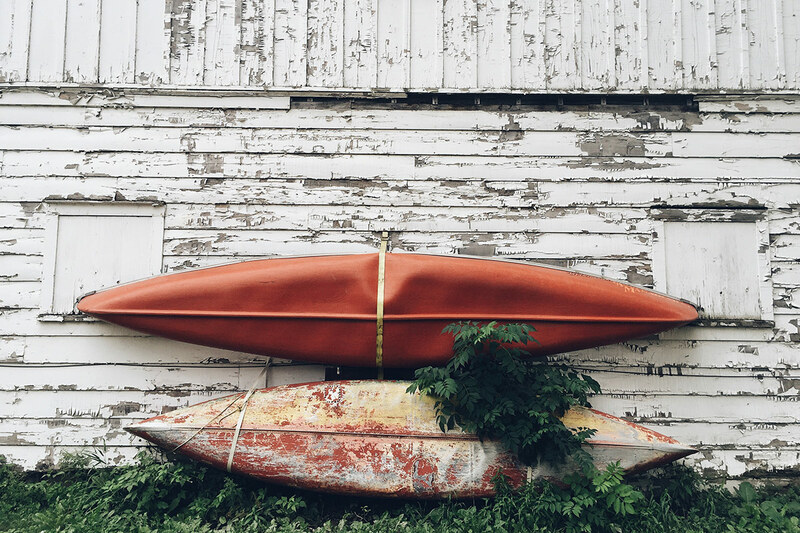 For kayaks, canoes, and standup paddleboards, water is a way of life. Unfortunately, it’s also the way of mold and mildew. These fungi can grow on your gear, making them slimy and unsightly. If mold and mildew end up on your boat, they can be removed by scrubbing it with borax or a salt and vinegar paste. This requires time, energy, and a considerable amount of elbow grease. If these methods fail to remove the fungi, a bleach solution is your last resort—but be careful about getting harmful chemicals into the soil. Your best bet, of course, is to avoid mold and mildew in the first place, and the best way to do that is by using a FootStake. Our clever boat storage system keeps your kayak, canoe, or SUP elevated, where it can dry before fungus has a chance to move in. Crisis averted! Have you ever gotten back from a fun day on the water and plopped your boat in the corner of the yard until you have time to clean it and put it away? For many of us with busy lives, it can be hard to find that time! Between work, the kids’ schedules, and social obligations, finding an extra 30 minutes to clean and rack your boat can seem impossible. Then one day you finally flip it over, only to find unwelcome guests living inside. Spider webs cover the openings, while rats have nibbled on the seat cushions. Oh, no! You can avoid this nightmare scenario with the FootStake. Because it’s so simple and easy to set up, you can rack your boat in seconds, as soon as your trip ends. This will keep creepy critters from moving in so you’re the only one who gets to use it. While a kayak or canoe might get banged up in the water, especially if you’re paddling down a river or through a rocky lake, those bumps and bruises are normal wear and tear. Less normal are the ones that are caused by improper storage. You see, plastic kayaks can dent easily, and those deformities make them harder to steer and cause them to degrade more quickly over time. Unfortunately, denting can happen pretty easily. The biggest culprits? Leaving your kayak lying on a hard surface, hanging it from its loops, and making ratchet straps so tight it causes structural damage. So what do you do if you want to store your kayak without causing disastrous dents? You store it on a FootStake, of course! FootStakes are the perfect way to store your boat. The foam pads that top each FootStake protect the boat, while the eyelets allow you to tie your boat down, keeping it secure without causing damage. It’s the perfect solution, and it will allow you to enjoy your kayak for years to come. This October, avoid scares and screams, and protect your boat from a tragic ending. Oh, and some extra candy wouldn’t hurt, either.